Editor’s Note: We welcome Scott Wyden Kivowitz to the Photofocus team. Scott is a father and photographer whose dedication to teaching photographers comes through in a straightforward and no fluff style. Scott is also the Chief Community Officer at Imagely, the WordPress Photography People. As photographers, we think photography is the only thing we should be showing on our websites. The mobile age is here and has been for a while. But it’s only still getting started as new apps and services are coming out every day for both iOS and Android. In this mobile world, people are consuming video content more than anything else. Over 80% of Twitter users watch video content, YouTube is the second largest search engine just under Google and 45% of people watch more than an hour of Facebook and YouTube videos a week. With some of these staggering statistics, it’s getting more obvious that photographers should consider video marketing in their businesses. Of course, there is a variety of video styles that can be created depending on your business. For example, if you’re a photography educator then you could and should be creating free video content on YouTube and Facebook, just as I am. On my YouTube channel, I’m publishing videos twice a week on photography software, techniques, social media, video creation and much more. The strategy is not a new one for the photography education industry. It’s hard, a lot of work, but proves to be an effective form of marketing. But photography education content isn’t something that would be beneficial for wedding photographers, boudoir photographers or others who do not offer educational services. So what type of content could be created for YouTube? Hopefully, on your blog, you’re publishing strategic content in the form of text and photos and not just hundreds of photos with no context. The content is educational, but in a different sense than previously mentioned. This educational content is for your newly engaged couples whom could be your next bride and groom you photograph. The topics might include your recommended vendors, like venues and florists. So why not take that same content you have on your blog and turn it into a video? If you have a Mac then you already have iMovie for free. If you have a PC then Microsoft’s Video Creator is available to you. If you have neither then there are dozens of other apps and services that can aid in video creation and editing. Even Animoto can serve you well for this purpose. Create a set in your studio, or outdoors. Set up lights if needed, use a good microphone, then get in front of the camera and press record. Talk about exactly what you put in your blog content. When you’re done, edit down the video to a five minute or so piece and publish on YouTube and Facebook. Create a strong, eye-catching thumbnail. One that looks good small (for phones) and large for when the video is embedded on your website, and also good for when viewing in a feed on the computer. Create a catchy, but a well-optimized title. One that can help it rank for your preferred keyword, but also be attractive to those browsing YouTube and Facebook. Create a well optimized and detailed description, but do not include links outside of YouTube and Facebook. Because both of the platforms want you to keep people on their sites. Sending them away could potentially prevent the algorithms from ranking the video high up on the list. Do your keyword research to make sure the topic and keyword you are hoping to rank well for is one that actually gets searched by users. There are so many tools available to aid in each of these optimization tactics. The majority of the tools are for YouTube, but what works well on YouTube tends to also work well on Facebook. My personal favorite tools for video optimization is Morningfame. It’s a beautiful web tool that allows you to do research for specific videos you’re creating. You can cover each of the bullet points mentioned above, see a preview of how your thumbnail will look across devices, in dark mode and even when embedded on a website. It helps you optimize the titles, descriptions, tags, and hashtags and gives you a score A through F of how well it’s optimized. Their plans are quite affordable so I hope you check it out as an investment in your photography business. In addition to the optimization tools, Morningfame monitors your channel and provides you with insights into video success, channel growth and more. For example, you can receive an e-mail seeing how your video is ranking and compare it to competing thumbnails. Cool, right? Another tool that I use a lot on YouTube is TubeBuddy. Some of what it offers is similar to Morningfame, although I like Morningfame’s tools better. TubeBuddy offers Chrome and Safari extensions so you can do onsite research and optimization without leaving YouTube. TubeBuddy is used by most of the most popular YouTubers, so it’s a tried and tested tool. One of the cool things it can do is let you A/B test your thumbnails to see what works best. If you are going to doing a lot of video creation for YouTube then the official iOS and Android apps for YouTube Studio is a must. There you can moderate comments, see your analytics and much more. It’s a great app for access to your videos on the go. If you prefer a free (but limited) tool for keyword research then have a look at Keyword Tool. It allows you to do research on keyword opportunities on Google, YouTube, Bing and Instagram. Maybe one day it’ll add Facebook. The free version shows you a few results, but the paid version unlocks hundreds more. Another one is Answer the Public. It’s a neat service that has you enter your keyword, and it then provides you with related search terms across platforms. It can help give you ideas for additional topics or titles for your videos. I haven’t seen any Facebook-specific research tools for videos, so my recommendation (aside from using YouTube-specific tools) is to do manual searches on Facebook based on your YouTube research. See what provides results, the quality of those results and how it might be working for your competition. Use playlists! YouTube loves when you relate videos to each other. Adding multiple videos to playlists will help YouTube recommend your videos from one to the other, just like if you link internally on your website. At the end of a video, you can even mention the playlist so your viewers know to look. You can use cards and end screens to promote those playlists. Facebook also offers playlists, but not with as much control as YouTube does. I still recommend using them on Facebook. To learn more about videography, check out the video learning center here on Photofocus. 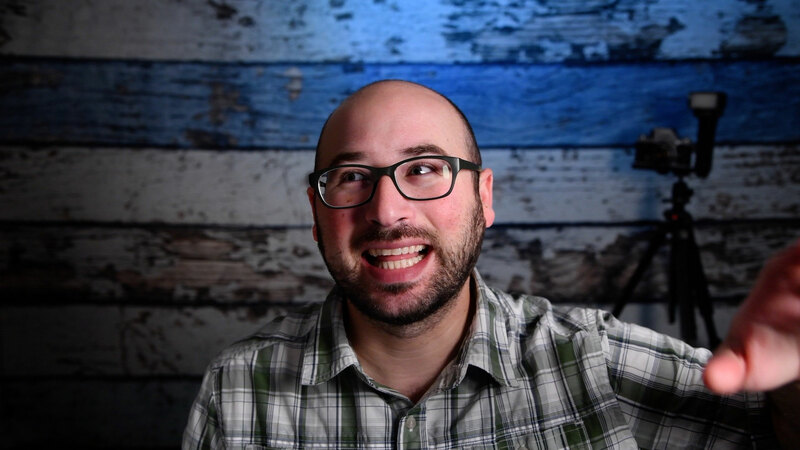 Scott Wyden Kivowitz is the Chief Community Officer at Imagely, a father, photographer blogger, and educator. Scott is also the author of multiple photography ebooks including the topics of long exposures, panoramics, and street photography. Get his free Lightroom video series, Fundamentally Lightroom, to help you simplify your Lightroom workflow, and also receive his free photography guides collection as a thank you.